Buying habits are changing. Digital technologies enable consumers to experience brands in entirely new ways. The modern consumer expects a two-way conversation and nowhere is this more the case than in the cosmetics industry. Suzy Ross, senior advisor at Accenture, explains "Brand owners today have a direct relationship with customers. Brands who put their customers at the heart of the product and the product experience will beat those who don’t". 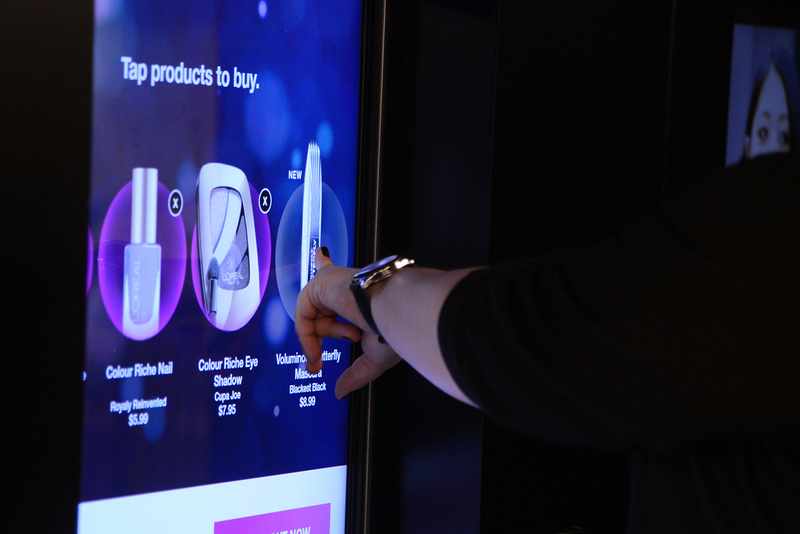 Cosmetics is undergoing massive disruption and as technology evolves, there are new challenges, opportunities, risks and rewards opening for brands and marketers. As Ukonwa Ojo, senior VP at CoverGirl, explains: "New technologies make it easy for beauty lovers to access trends, looks, content and experiences. Shopping behaviours have shifted towards e-commerce and specialty versus traditional bricks and mortar. And it is no longer just about beauty basics like mascara, foundation and lipstick. People want to try liners, contouring and highlighting products, shadows, glitters, glosses and so much more. The range of choice within brands has expanded as dramatically as the number of brands themselves." Social media has completely disrupted the way brands connect with consumers, but also ushered in a totally new business model. Instagram and YouTube have changed the way consumers interact, becoming marketing channels, and indeed sales channels, in their own right through PR, digital advertising, paid-for influencer marketing and organic influencer behaviour. Stephane Berube, CMO at L’Oréal, talks about his company as both manufacturer and service: "Our consumers are at the heart of the business and we work tirelessly to offer products and services they want and need. They are now in the driver’s seat – they are no longer going to be told what to do or what do buy. They know what they want and they will interact with brands how they want to." Cosmetics brands have quickly moved from a product-based model to an experience-based model. It is no longer just about the product. As Suzy Ross says, "consumers are looking for a fully interactive experience with their cosmetics brands becoming part of their lifestyle". Big brands are responding to this, for example, L’Oréal now allocates 30% of its media spend to digital channels. 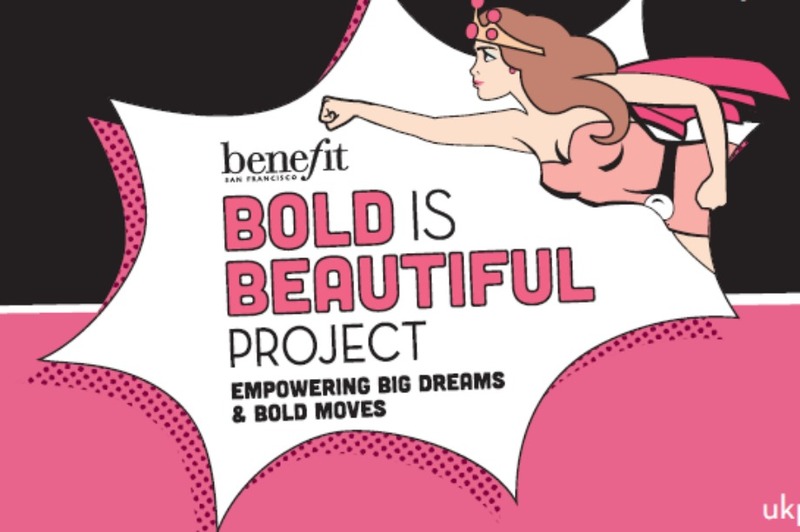 A significant initiative from the company has been its ‘Beauty Squad’ campaign, where a number of influencers created YouTube videos and articles for both L’Oréal’s website, social channels and their own channels, tapping into a combined influencer reach of 5.5m. It meant that L’Oréal had created the kind of content users are searching for – mainly beauty tips, advice and tutorials. Social media does more than channelling trends, it also creates them, and is now driving the creation of new products. Brands that have been able to react quickly have been able to unlock whole new revenue streams. For example, the desire to be "selfie-ready" for younger consumers who want to portray a flawless look on social media and emulate the style of stars such as Kim Kardashian or Tanya Burr, has given rise to new camera-ready make up ranges. Almost a quarter (22%) of women aged 16-24 said they wear make-up to create a camera-ready look, up from an average of 7% the previous year. Eyebrow grooming products – designed to give make-up users thicker and darker-than-natural eyebrows, with models such as Cara Delevingne driving the trend – now form a market worth over £42 million annual, up £10 million from the previous year. That’s the sale of nine million eyebrow product units in 12 months. "Brands are no longer in control", says Ojo, "Our consumers demand what they want and then co-create with us. Social media enables a two-way dialogue. Marketers can stay ahead by being consumer-obsessed: constantly attuned to what fans, followers, competitive users and beauty lovers, in general, are telling us they want. And, hearing and seeing certain signals even before they've fully emerged. We do a lot of trend sensing through sophisticated research and social-listening techniques." Some brands are using Artificial Intelligence (AI) to help - Berube explains what L’Oréal is doing: : "AI helps us predict and forecast market-wide trends and so serve the consumer. AI helps us connect with our consumers, allows us to personalise our approach and develop our business in line with consumers." Ross says this trend represents a massive opportunity for new, perhaps more nimble, brands to enter the market: "In the past the industry has been dominated by huge players, with little chance for others to get a foothold. But with the emergence of social media, small brands can very quickly evolve from having an audience to having a brand and products. The industry is being turned on its head." Social media is also enabling established celebrities with huge social presence to create their own direct-to-consumer brands that target specific market gaps. Kim Kardashian has become the face of contouring, regularly posting videos on Instagram with her professional make-up artist @MakeupbyMario showing users how they can ‘contour just like Kim’ at home. Then there are Kylie Jenner’s lip kits: Jenner, an Instagram star, created a global online buzz around her make-up empire, Kylie Jenner Cosmetics. The company has reportedly made $420 million in retail sales in just 18 months. The first product, Kylie Lip Kits, sold out within a minute and sent prices on re-sale sites soaring. Fans took to stalking her social media accounts and app for hints on when restocking would take place – and some spent hundreds buying the kits on eBay. Most brands can only dream of this type of response. The ‘amateur influencer’ has also become vital to the industry, that is people who produce YouTube tutorials with beauty application tips, making them even more relatable: the consumer regular looks for expert guidance away from a physical store. Last year, according to Statista, beauty-related views on YouTube increased to 88 billion – up from 55 billion in 2016 – and one billion a decade ago. "There is no average customer in the beauty market," explains Kyra White, head of brand activation at Benefit Cosmetics. "Some feel overwhelmed and need guidance on products and techniques, others know what they want and need and are constantly watching beauty tutorials and reading the latest reviews." This type of socially enabled expertise and on-line experience is rapidly eclipsing expensive above-the-line brand activations and in-store experiences. One of the most popular YouTube stars on the planet, Yuya, is a 24-year-old beauty blogger with over 21 million subscribers to her channel. Such environments are challenging for marketers who have little control over this socially enabled exposure of their brand. As a result, big brands are increasingly collaborating with the influencers and the YouTubers in an attempt to help articulate their brand promise. The cosmetics industry has become much more focused on inclusivity with new products catering for every demographic, and marketing campaigns showing consumers of all sizes and ages. Dove’s marketing campaigns kicked this off a few years ago, but even fashion brands such as Asos, now show photographs of the same clothes on different size models, and H&M has an app that puts you in the catalogue styling the clothes yourself. Brands across the industry are revamping how they speak to and listen to consumers, who largely just want to find products that suit them. 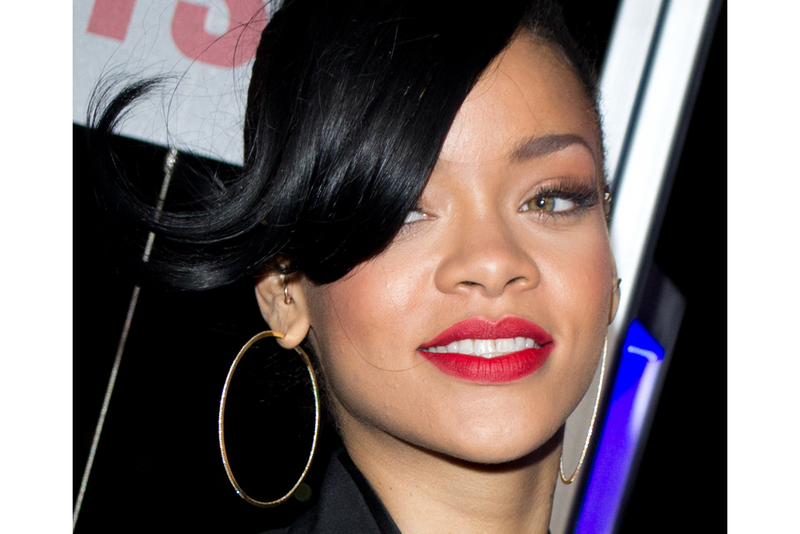 Rihanna’s Fenty Beauty range has created an ultra-personalised product range. The Fenty Beauty range brings more choice to black women, its Pro Filter Foundation line, carrying 40 tones, saw the darkest sell out fastest. The company was valued at a reported $72m in the first month the products went on sale - clearly it has found a winning formula. This change is long overdue, for example, according to a 2016 Raconteur study, 61% of British women were not able to find their foundation match, and women with darker skin tones were paying 70% more for foundation from specialist ranges. Mintel research found that older women feel frustrated by a lack of information on how to care for their skin as it ages. As Suzy Ross says, "the cosmetics industry is not just about selling products, it about giving someone confidence, a feeling of wellbeing and satisfaction. That can’t happen unless there are products and experiences that suit everyone". In response to these industry trends, beauty and cosmetics brands are busy making plans for the future, with the big names still having the muscle to make big moves and take risks. But brands of all sizes are embracing digital technologies to get closer and more personal with their consumers. For example, L’Oréal bought Modiface, an artificial-reality beauty company that maps an individual’s face digitally then virtually applies product. Chief digital officer Lubomira Rochet said Modiface would "support the reinvention of the beauty experience around innovative services to help our customers discover, try and use our brands". Pushing technological boundaries only works if it has a purpose – and isn’t done for technology’s sake. Modiface clearly solves a consumer problem, how to test make-up effectively. Established brands are learning from the new market-entrants and building new partnerships to reach their consumers and stay relevant. Elizabeth Arden partnered with YouCam Makeup, a make-up app, so users can try products then buy directly from the company’s site. Ophelia Ceradini, VP of digital innovation and technology at Estée Lauder, cites the use of an online tutorial that has helped launch a new range of eye and face cream: "We show people how to apply the eye cream and use a massaging applicator and we’ve developed a Facebook Messenger chatbot to help customers choose and layer products. We can also direct customers to a live chat with a skin expert." However, maximising digital channels is not without its own challenges, and proper curation is required. The Beauty Digital Brand Report published early in 2018 said that 65% of women felt overloaded with options – and this included the impact of influencers, media and celebrities. To sort through this jungle of choice, consumers want guidance, they want customisation and personalisation. That’s where the science comes in. The Beauty Digital Brand Report quotes brand consultant Antony Hawman from The Partnership Atelier: "Brands should be investing in their data science/analytics teams, as these insights drive all new product development, buying and marketing decisions. In the climate that we’re in, this is a gift, as it means we’re able to base our buying decisions on qualitative and quantitative customer feedback and shopping habits along with our sell through reports, to give the best shopping experience we can." The industry recognises there is no ‘one size fits all’ approach, and it can now do something about it through the use of their consumers’ data. Key examples of truly personalised cosmetics are Trinny London’s computer-generated prescription of products and Eyeko’s bespoke mascara service, as well as skincare which tackles anti-ageing at its source. In the case of beauty brand ALLÉL’s, even DNA analysis is included. Indeed, data, when used effectively, can be extremely beneficial to a brand. Recent research from Accenture Interactive shows that consumers are more likely to buy from an on-line retailer that knows their purchase history (65% more likely) or one that recommends options based on their past purchases (58% more likely). "Brands can be hyper-personalised and relevant like never before which is really exciting", said Sohel Aziz, managing director, Accenture Interactive. "However, to build experiences and products that consumers really value, brands need to ensure they use their consumers’ data responsibly and focus on the core proposition." Digital technologies are not just transforming the on-line experience, they are transforming the physical too. Take packaging, a significant part of the beauty experience. In the age of social media, products have to be even more striking and Instagram friendly. Ouai and Glossier have had success with a social-media strategy maximising the power of 'gram-friendly packaging’ in driving sales. The pink bubble-wrap bags Glossier products come in have become trendy in themselves. 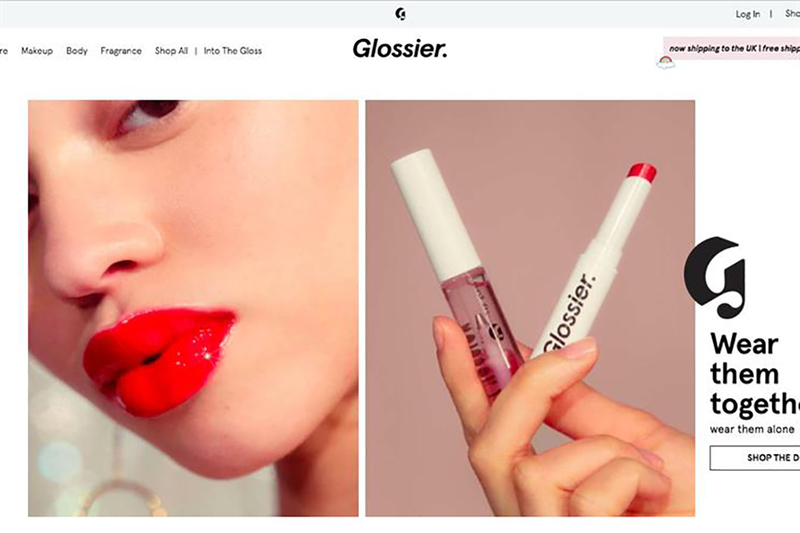 And Glossier bypasses the retailer: they are a direct-to-consumer brand in the UK. A significant and emerging trend, already extremely popular in consumer electronics, is the unboxing video. Mix cosmetic subscription services such as Birchbox with influencer monthly unboxing videos and it’s a perfect blend of personalisation, engagement, influencer advocacy and social-media scale: the full consumer experience, that is not just virtual but physical too. The secret seems to be to embrace digital technology but stay true to your brand promise, and your consumers’ expectation. As Ojo says, "Listen. Be consumer obsessed. Live your brand purpose: respect your heritage but express your perspective in a modern way." Establish a dialogue with consumers. Not only will this enrich their brand experience, but it also allows brands to track evolving habits and trends and provide ever-more relevant products and services. At Benefit Cosmetics, taking heed of trends and innovating based on evolving customer needs is key, says White. "There will always be trends and Benefit as a global brand will always be innovating not only when it comes to product development but also in the way that we share with our customers." Use technology where it’s useful… not for its own sake. Some interesting uses of virtual technologies are emerging, for example virtual changing rooms established by start-ups such as like Fitiquette, as well as big brands like Tesco. However, these have not yet proved very popular, perhaps because they have not been linked through to what consumers are actually buying or demanding. "Technology needs to be intrinsically linked to the product experience or else it’s just a shiny new toy," said Aziz. Use data to get personal. Responsible use of data can reap rewards for both the consumer and the brand. White explains: "We look at every touch point the customer has with the brand. This could be in store at one of our counters or brow bars, online at one of our e-tailer partner’s sites, digitally interacting on social media channels, watching influencers or attending events. We ensure we are where she is in a fun and approachable way." Lose control – but stay in the conversation. Expect your brand to live autonomously online and on social and expect that you won’t be able to control. Estée Lauder used influencers to conduct market research last year, giving each influencer a choice of product to test with their particular audience and providing strong feedback. "[The influencers] allow the brand to tap into new audiences and have consumers see how our products can fit into their lifestyle," said Kate Gildea, corporate digital and social media marketing lead at Estée Lauder. I want to see something I like on a model who actually looks like me. Then I want them to link to everything so I can click straight through and buy. I want brands to put a whole look together for me, something I’ll look at and relate to. Don’t post photos of a really nice looking product and then in the comments below say it’s not out yet or is no longer in stock. That’s just annoying. I like it when I see curvier or imperfect models in advertising or product demonstrations, I can then imagine what it will look like on me. Online doesn’t compare to actually being able to go and feel and touch something. I have used some online apps where you can try something on your own face but it’s often a lot of hassle having to find the right photo to upload in the right size. It hasn’t worked for me yet. I care more now-a-days about how a product is made. And also that the packaging isn’t bad for the environment. It’s important. - Establish a dialogue with consumers. - Use technology where it’s useful… not for its own sake. - Use data to get personal. - Lose control – but stay in the conversation.